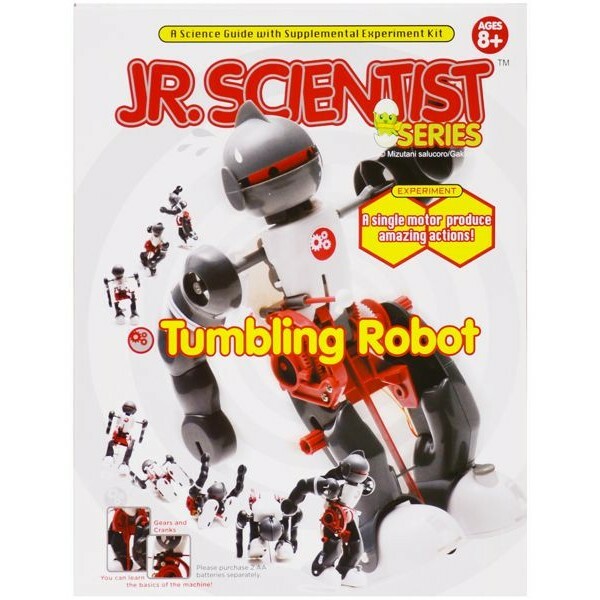 The snap together Jr Scientist Tumbling Robot Kit is a great introduction to building motorized projects. This robot doesn't have any brains but it sure can perform some neat tricks! 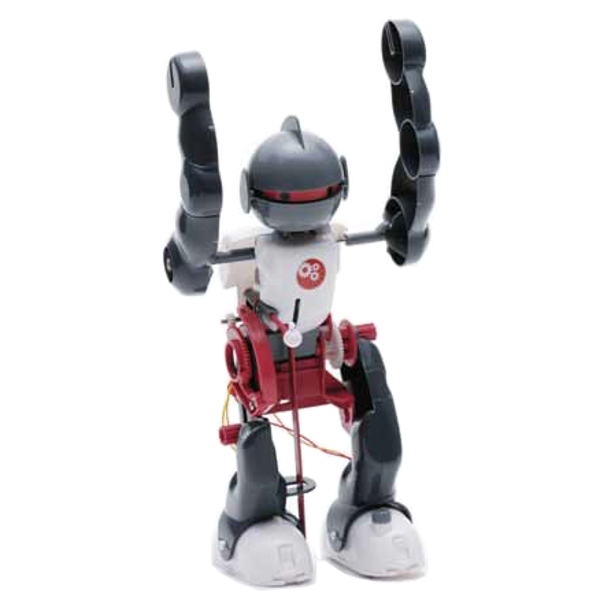 The Tumbling Robot's clever design is driven by a single motor powered by two AA batteries. Watch it fall and get back up, dance around and perform somersaults. The Tumbling Robot Kit comes with a full color assembly guide that also explains the theories of operation. This kit helps children develop basic assembly skills and provides some hands on experience with simple electric motors and gears. 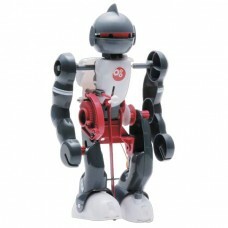 This kit is recommended for children ages 8 and up and requires 2 AA batteries.